Check the traffic. Pay the bills. Pick up the package. Don’t miss the flight to Charlotte. We run through our mental to-do lists dozens of times throughout the day. Wouldn’t it be nice to have proactive help to keep our lives on track? 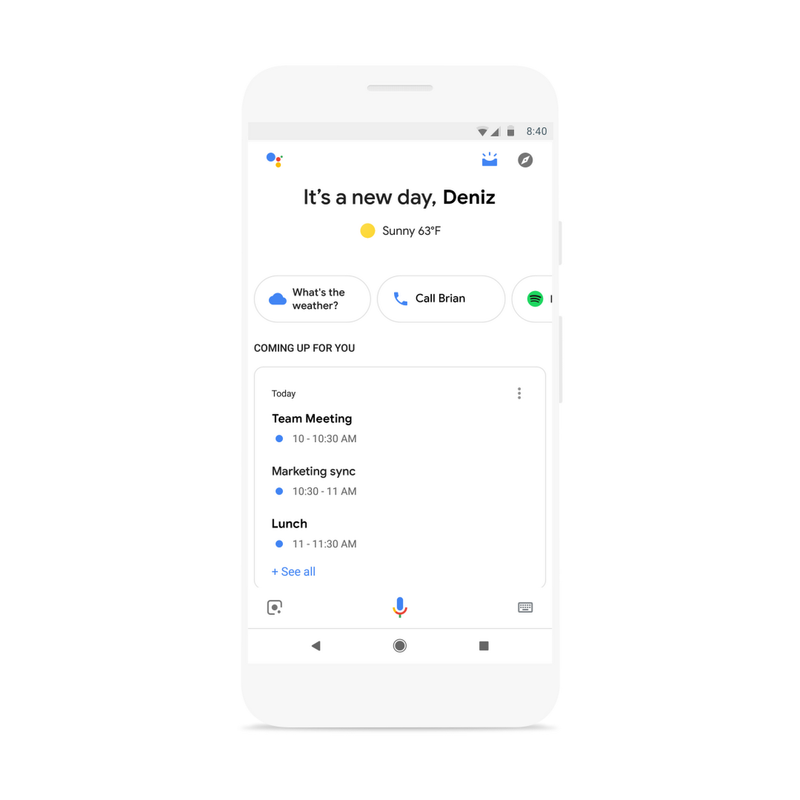 This week, we’re rolling out a new visual overview of your day when you open the Google Assistant app on your phone, with proactive suggestions and personalized information to help you stay on top of your day. 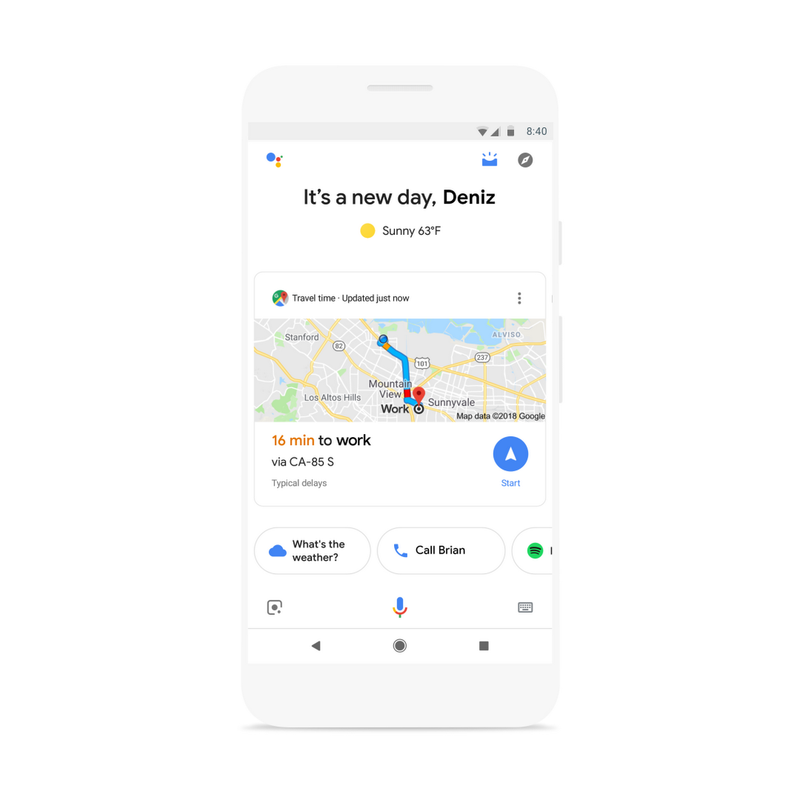 The new visual snapshot provides curated, helpful information based on the time of day, location, and your recent interactions with the Assistant, and will be available on Android and iOS devices in all languages supported by the Google Assistant. 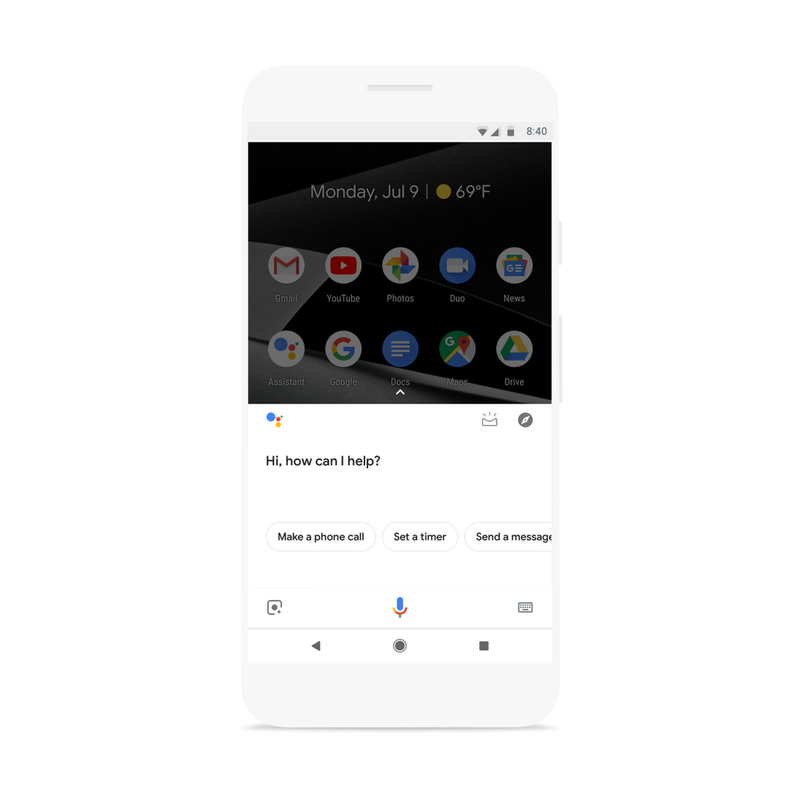 Access the new experience by tapping on the new icon in the top right corner of the screen after you’ve activated your Google Assistant. 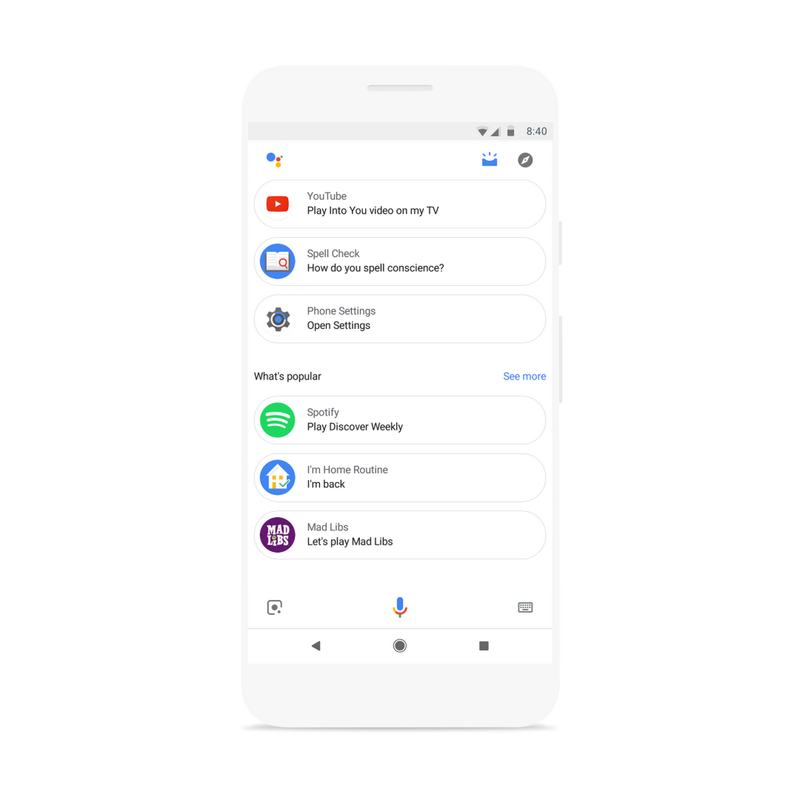 Or if you have an iOS device, your personal updates will be shown as soon as you open the Google Assistant app. We’ll continue to add more useful features to your snapshot over time—for example, an overview of your notes and lists from Google Keep, Any.do, Bring!, Todoist and others; a new discovery section to help you find activities nearby; reminders on where you parked; personalized recommendations for music and podcasts; and much more. The Google Assistant can also send proactive notifications on your phone to remind you of important upcoming events. 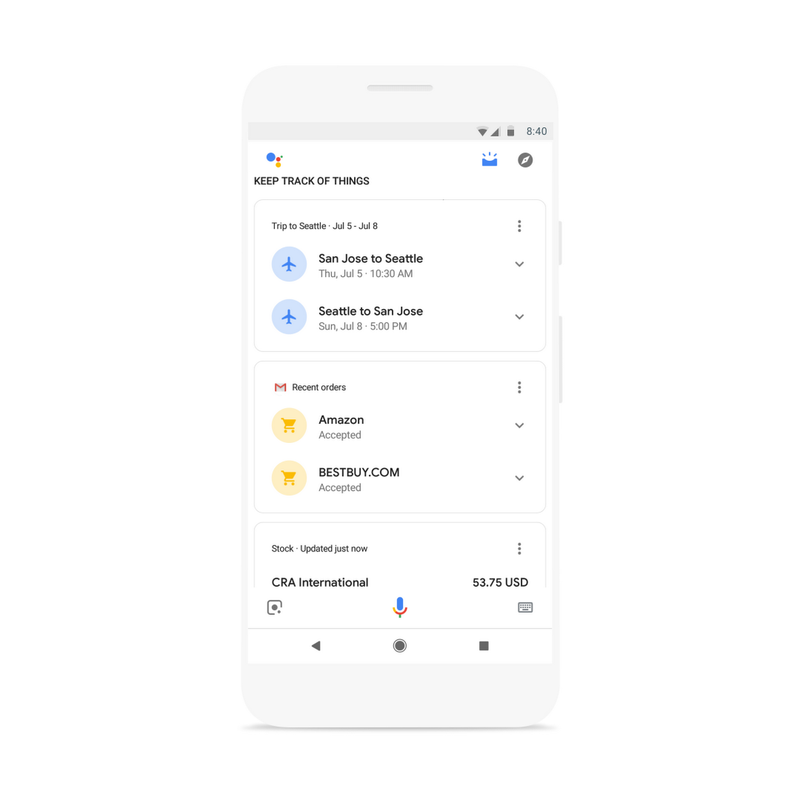 You can get notifications for upcoming bills, packages, even an alert that your flight has been delayed—your Google Assistant will keep track so you don’t have to. 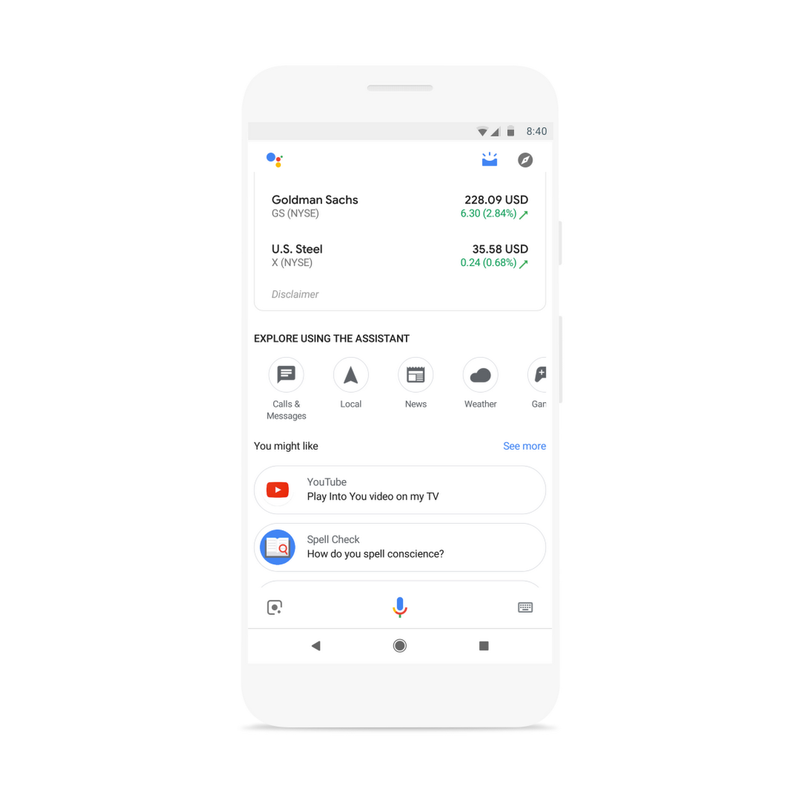 Try out the new visual snapshot and make sure you have notifications turned on for your Google Assistant so you can stay on top of the things that matter most to you.